Spitfire completed the sweep today with three straight map wins. London Spitfire were built to be Overwatch League champions. Their star-studded roster fields past champions and emerging superstars. In the first quarter of the season, they played like champions, taking the OWL stage one title. And today, they became champions—London Spitfire are the first winners of the Overwatch League. Spitfire absolutely demolished Philadelphia Fusion today in front of a packed crowd at the Barclays Center in Brooklyn, New York. London never opened the door to a hint of a comeback, taking a 1-0 series lead into the day and completing a 2-0 series sweep with three straight map wins. 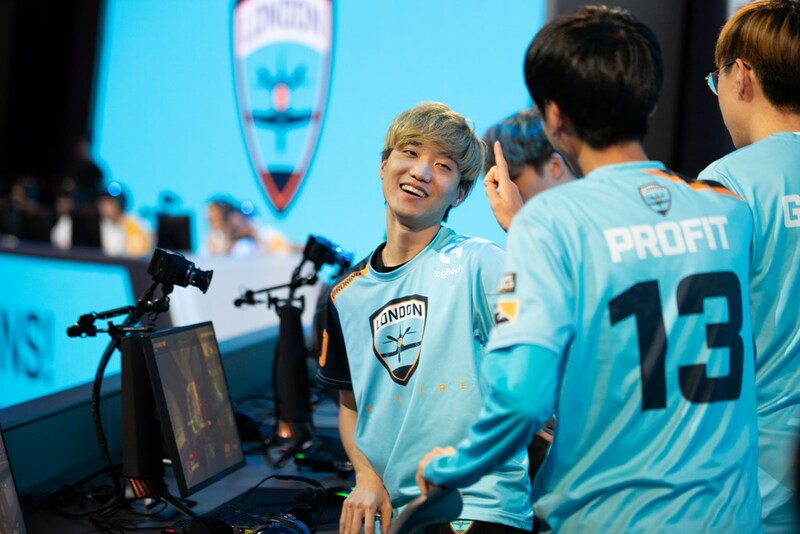 The big storyline entering the series was the battle between two superstar DPS duos, Fusion’s Josue “Eqo” Corona and Lee “Carpe” Jae-hyeok against Spitfire’s Park “Profit” Jun-young and Kim “Birdring” Ji-hyeok. But this series was all about Hong “Gesture” Jae-hui, who prevented Carpe from even joining the party. Carpe was considered an MVP candidate throughout the regular season thanks to his ability to put his team on his back at times thanks to his incredible aim and knack for finding the right position to obliterate his foes. But Gesture, with some help from excellent Widowmaker play by Birdring today, kept Carpe quiet all series long, leaving Fusion without the weapon they used to reach the finals. Spitfire dominated the opening map of the day, Junkertown, racking up 53 eliminations against Fusion’s 27 thanks to incredible Orisa play from Gesture and his team’s ability to combo his Halt with other abilities like Roadhog’s Chain Hook and Hanzo’s Dragonstrike. Lijiang Tower wasn’t any prettier. Fusion looked scared, giving away early picks to Spitfire and never allowing themselves to get into the rhythm of the game. Carpe only scored two final blows on the map as Birdring and Gesture never gave him an angle to play. At this point in the match, Profit had more kills than Eqo and Carpe combined. And it didn’t get any better for Fusion. Spitfire stalled Fusion in the streets phase of King’s Row, and while Philly finally came alive with some of the clutch play that got them to the finals, finishing the map with two overtime pushes, it wasn’t enough. Spitfire were stronger in their attack and closed out the championship. Profit took home finals MVP honors, which is hardly a surprise after the performance he put together. Entering a match where Carpe and Eqo were vaunted as perhaps the league’s strongest duo, Profit showed he was the best player on the game’s biggest stage. The victory is validation for a Spitfire roster built from the core of Korea’s best pre-Overwatch League team. GC Busan, winners of Apex Season Four, the biggest league in Korea before OWL, contributed Gesture and Profit to Spitfire’s starting lineup—and they were key players in leading Spitfire to the championship, maintaining Korea’s status as the world’s best region at Overwatch. But it wasn’t an easy road. After taking the stage one title, Spitfire played worse in every subsequent stage. In the final stage of the season, they posted a 4-6 record, backing into the playoffs with the fifth seed. They didn’t look like the team they were supposed to be entering the playoffs, and they didn’t play like it in their first series, falling to Los Angeles Gladiators in an embarrassing 3-0 sweep. With their season on the line and perhaps some of the pressure to perform off them, Spitfire rallied and won 21 of their last 23 maps to blitz through the playoff bracket and take the title. Their aggressive and confident playstyle allowed their individual mechanical skill to shine and take over games. London became more comfortable making hero swaps in the right situations, proactively adjusting to the map and their opponents. Spitfire finally played like everyone thought they would entering the season, and no one could stop them.